Lately, it seems as if every chic restaurant offers its own house cocktail, together with that quintessential sophisticated appetizer, oysters on the half-shell. But who wants to battle the crowds at the hippest oyster bar in town? Move the pre-dinner scene to your home ― all you need is one cocktail as the specialty of the house, a small group of friends, and a whole lot of ice. 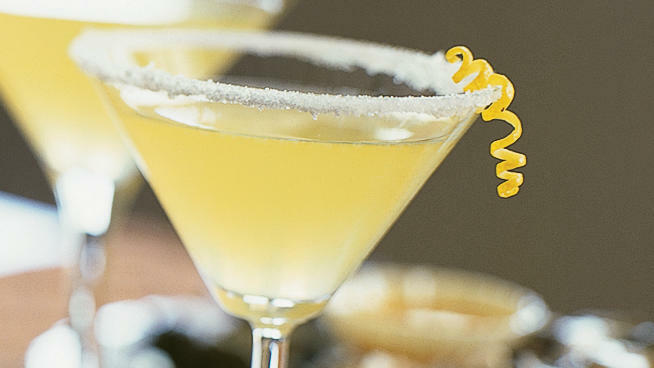 Our sweet-tart lemon martini comes with a twist, as do our oysters, which get a little zip from an innovative tangerine-chili mignonette. Together, they’re the perfect starter for a glamorous night on the town ― or chez vous.